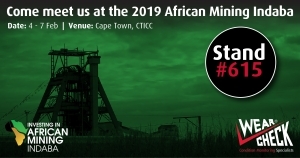 African Mining Indaba 2019 takes place 4 – 7 February at the Cape Town International Convention Centre (CTICC). Our expert condition monitoring programmes - including oil analysis and other reliability solutions techniques - are already saving maintenance costs and boosting machine availability for mining operations around Africa. WearCheck makes these services widely accessible in remote areas by placing mobile laboratories on-site. We’ve designed site-specific fuel and lubrication improvement programmes that have boosted the bottom line for our customers y extending component life, reducing maintenance costs and increasing equipment availability. We invite you to come and talk all things condition monitoring with our technical team at Stand 615. In July, Quentin Gustav von Kleist joined WearCheck’s team in Johannesburg as a technical support consultant. 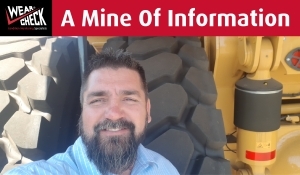 Quentin brings with him a wealth of experience in the preventive maintenance arena, with particular knowledge of the mining industry and related components. 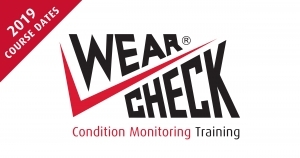 Prior to joining WearCheck, Quentin spent many years working in India for zinc and lead mines such as Hindustan Zinc, where he maintained mining machinery and repaired inoperative components. Armed with certification in the fundamentals of lubrication and oil analysis, Quentin and his team ensured that a large and varied range of equipment in the mines operated at peak performance, including dump trucks, loaders, drill rigs, raised bores, beamers, cutters, drill rods, stabs and more. Quintin is already firmly-established in the WearCheck team that is on hand to assist customers with any technical support queries. OVER-GREASING ELIXIR One of the most common root causes of rolling-element bearing failure is over-greasing. This practice damages seals and shields, and causes uncontrolled heat excursions that accelerate wear and lubricant degradation. No additive has the capacity to work as a magic elixir under such distressful conditions. CONCLUSION Reliability emerges from the optimum combination of quality lubricants and best practice lubrication. 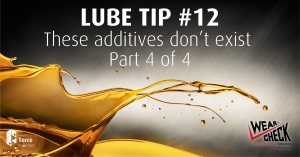 Don’t spend more money on premium lubricants hoping you can spend less on lubrication. This is a false economy. There is no substitute for vigilant inspection, frequent and thorough oil analysis, and well-deployed (and engineered) lubrication practices. No question, today’s additive technology can serve as a solution-provider across a wide range of potential problems that frequently plague machinery. Yet, they are unable to be miracle cures for numerous other maladies. Practitioners need an arsenal of tools and skills to get the desired reliability results. Begin with training and then follow with programmatic structure and procedures. Develop a culture of lubrication excellence. And remember, reliability is everyone’s responsibility. 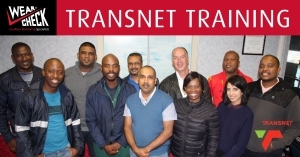 A group of Transnet employees recently underwent oil analysis training at WearCheck’s Pinetown office. The training course was conducted by WearCheck training consultant Jan Backer (back row, third from right).